The Pink Boots Society is proud to announce that Lee Lord of Cambridge Brewing Company in Massachusetts is the recipient of the University of California, Davis Extension Intensive Brewing Science for Practical Brewing scholarship. Lee has been a professional brewer for more than a decade, when she says she, “was lucky enough to break into the industry at a time where apprenticeship and rising through the ranks was more the norm.” She has worked at both small brewpubs and large scale production facilities but even with that experience Lee says,” At this point in my career I’m starting to find that I’m being overlooked for promotion by those with more of a classroom educational background.” Instead of being one of a handful of brewers, her goal is to become head brewer and then lead the team, a goal that will be furthered by adding this course as formal training to her resume. University of California, Davis Extension Intensive Brewing Science for Practical Brewing course is a five day on-site course that offers an intensive introduction to the sciences of brewing, engineering and brewing practice. Attendees will learn the technological and biochemical aspects of the entire brewing process from world renowned instructors Drs. Charles Bamforth and Michael Lewis. Topics of the interactive lecture sessions cover all aspects of brewing from raw materials to fermentation to quality control and sensory evaluation. In addition to attending the course, Lee will receive a pair of pink steel-toe rubber boots when she fulfills the Pay It Forward requirement associated with the scholarship. 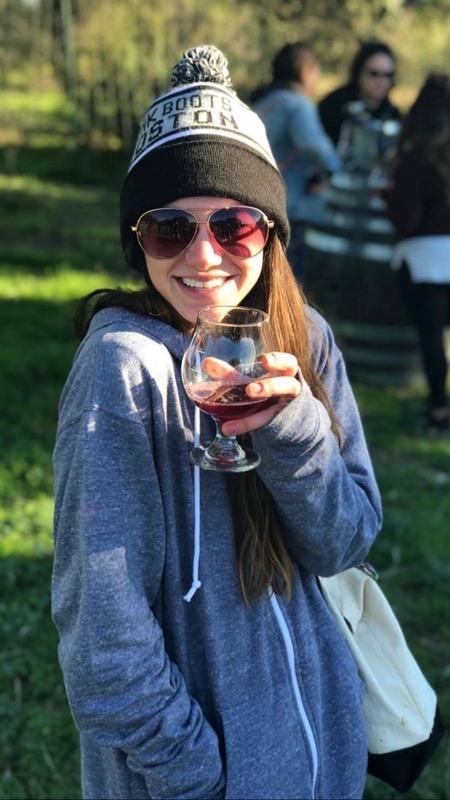 The Pink Boots Society is proud to announce that Cat Wiest of Seabright Brewery is the recipient of the University of California, Davis Extension Intensive Brewing Science for Practical Brewing scholarship. 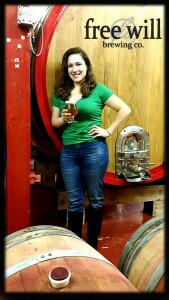 Chosen by the PBS Scholarship Selection Committee (SSC), five very experienced women beer professionals who hold positions as brewers, educators and writers, they chose Cat to receive this scholarship because although she has no formal training she is a “hands-on brewer, hard worker and a quick learner” that they feel will embrace the UC Davis course and use the knowledge to take her brewing to a new level. 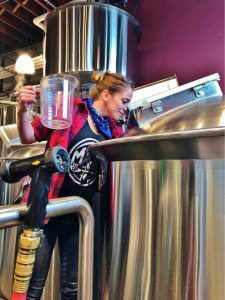 Cat began her professional brewing career in 2012 in what she describes as a “happy accident.” She says, “My career started in a large production brewery. No one cared if I had an education or not – we were desperately understaffed, and I was able to work hard enough for two people (I was hired for my background in the Alaskan commercial fishing industry).” After a year and a half at Pyramid Brewing she moved on to Speakeasy Ales and Lagers where she spent two years before joining Seabright Brewing last spring. From cellar operations to third shift brewhouse operator and now to head brewer, Cat has steadily worked her way up the brewing ranks. In addition to attending the course, Cat will receive a pair of pink steel-toe rubber boots when she fulfills the Pay It Forward requirement associated with the scholarship. 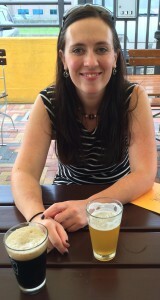 The Pink Boots Society is proud to announce that Colleen Rakowski of Free Will Brewing Company in Pennsylvania is the recipient of the University of California, Davis Extension Intensive Brewing Science for Practical Brewing scholarship. 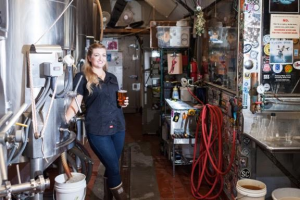 At the beginning of 2015 Colleen began her journey into craft beer working for Free Will in an office capacity, assisting them with social media and marketing as well as bartending in the taproom. When summer came around and they were short staffed in the cellar she stepped in to take a position there. 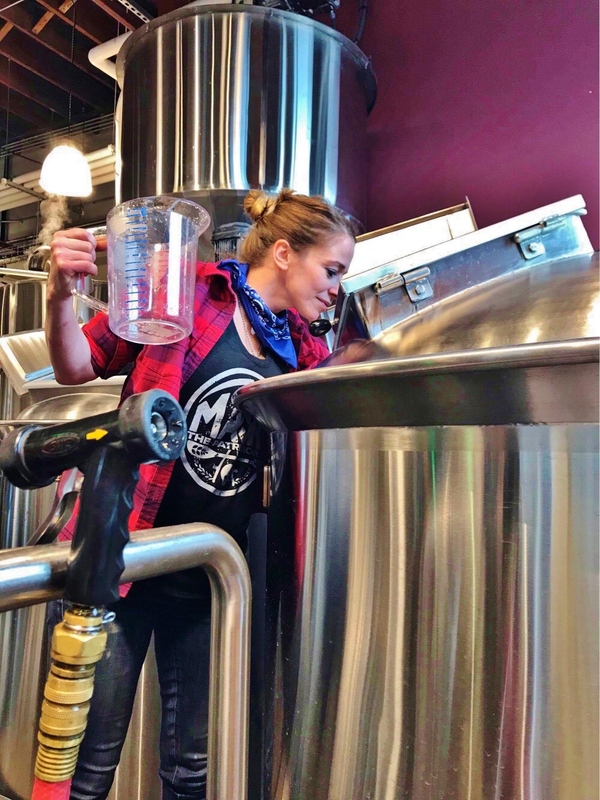 Her supervisor was impressed that Colleen, “picked up CIP and sanitation processes faster than any other person I’d ever trained, and far quicker than I learned them myself when I was first starting as a brewer. Within a week she was dry hopping, fining, and otherwise treating finished beers, and a week or two after that she was running transfers and filtrations solo.” As 2016 began she was promoted to lead cellerperson where her short term her goal is to run the cellar efficiently. 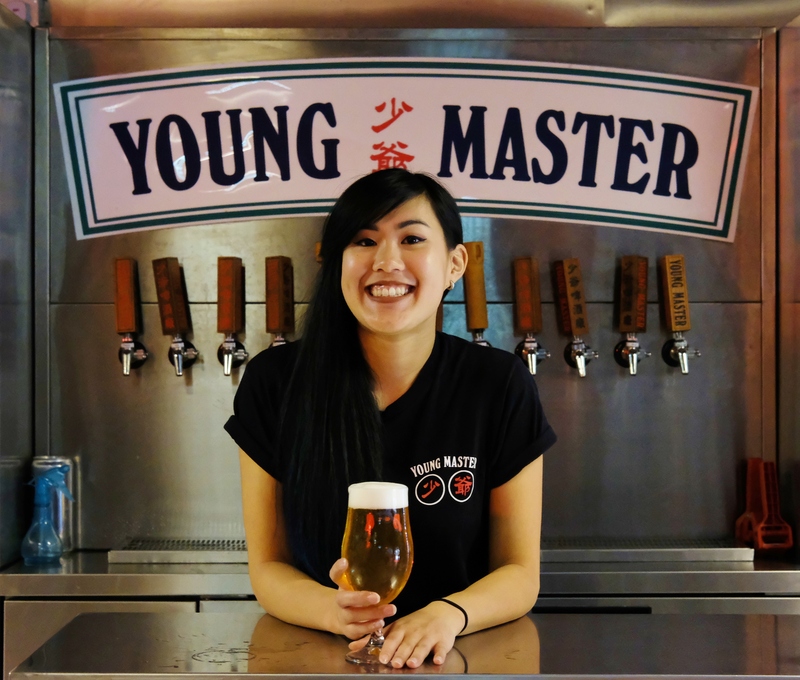 Eventually she would like to start brewing and developing brew recipes but she knows,“there is so much more knowledge to gain and this scholarship will help me immensely” in getting to that point. In addition to attending the course, Colleen will receive a pair of pink steel-toe rubber boots when she fulfills the Pay It Forward requirement associated with the scholarship. The Pink Boots Society is proud to announce that Abbey Spencer of St. Louis, MO is the recipient of the 2015 University of California, Davis Extension Intensive Brewing Science for Practical Brewing course scholarship. 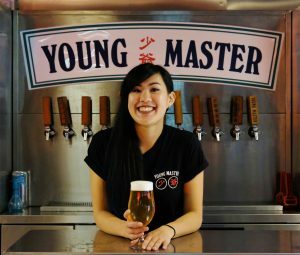 That brewery startup is set to open in early 2016 and Abbey has accepted the position of brewer, something she was at first hesitant about due to her lack of commercial brewing experience. Since then she been doing everything she can to prepare herself, including applying for the scholarship. “Knowing my personality and slight tendencies toward perfectionism, I know I might never feel truly “ready,” but I want to push myself as much as I can for this opportunity of a lifetime. The UC Davis course is one of many steps I plan to take to make this really happen,” said Abbey. The University of California, Davis Extension Intensive Brewing Science for Practical Brewing course is a five day on-site course that offers an intensive introduction to the sciences of brewing, engineering and brewing practice. Attendees will learn the technological and biochemical aspects of the entire brewing process from world renowned instructors Drs. Charles Bamforth and Michael Lewis. In addition to formal lectures, the course includes a tour of a famous craft brewery and beer tasting with a professional sensory scientist. In addition to attending the course, Abbey will receive a pair of pink steel-toe rubber boots when she fulfills the Pay It Forward requirement associated with the scholarship.